Description Subglacial drainage of a glacier-dammed lake - upper Messingmalmvatn (called Vatn 1051). 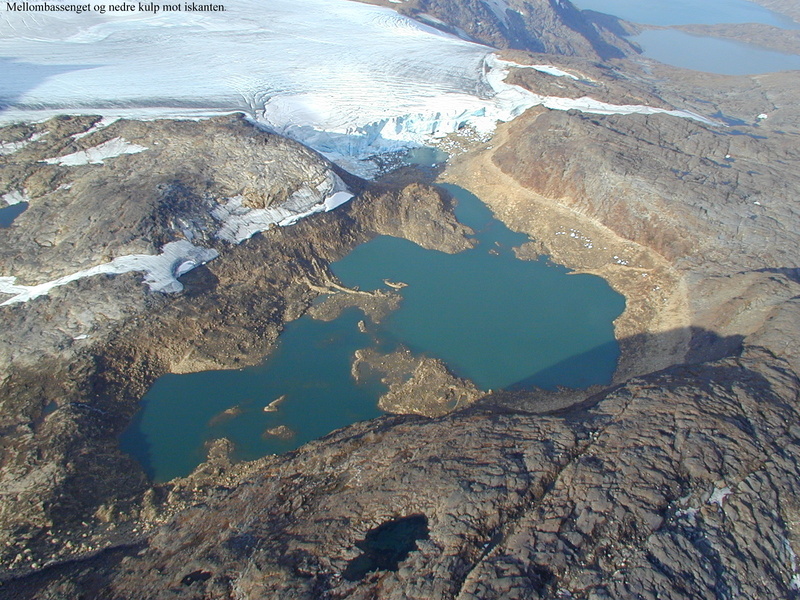 This is the first recorded jøkulhlaup from the lake, and is probably a direct cause of climate change that has made the glacier thinner so that it no longer dams the lake efficiently. The event lasted 35 hours with an estimated peak discharge of 800-900 m3 s-1. The drained lake was almost completly emtied, and its water level dropped about 50 m, causing water level in the hydropower reservoir to increase by about 2.5 m.
Effects: The drainage added an unforseen 40 mill m3 of water to the Siso powerplant reservoir. Note Source: Rune V. Engeset, Klimaendringer gir Jøkulhlaup ved Blåmannsisen, 2001.